Super Bowl Sunday can be a day to pig out on unhealthy snacks and tons of fried food, but it does not have to be that way. We eat healthy for months and tell ourselves it is just a day that we steer off track, but why can’t we enjoy what we eat? Are you hosting a Super Bowl party or attending one with a group of friends? You can try making some of these healthy options. Now while you get your football cheerleader persona on, you can benefit your health and fitness routine as well. 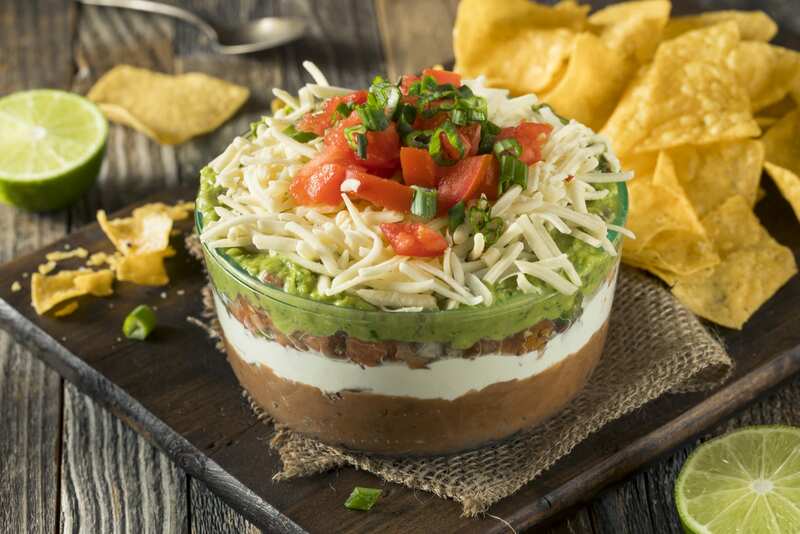 The nutrition team created this lighter version of seven-layer dip, that is heavy on fresh veggies, and uses nonfat refried beans and low-fat yogurt instead of sour cream. As a lifelong connoisseur of seven-layer dip, I can attest to its tastiness. The next time I make it I’ll buy spicier beans and add chopped jalapeño, because that’s how we roll here. Mash up avocados in a medium bowl. Add lime juice, salt, and pepper; mix well. Set aside. Combine yogurt and taco seasoning in a medium bowl; mix well. Set aside. Top serving platter with beans, avocado mixture, yogurt mixture, tomatoes, peppers, green onions, and cheese. Hummus with Veggies –There are many hummus recipes you can make or buy that will be perfect for a healthier party snack. By replacing the chips with vegetables, we can snack guilt free, still, have the crunch, and feel better throughout the long night of football. 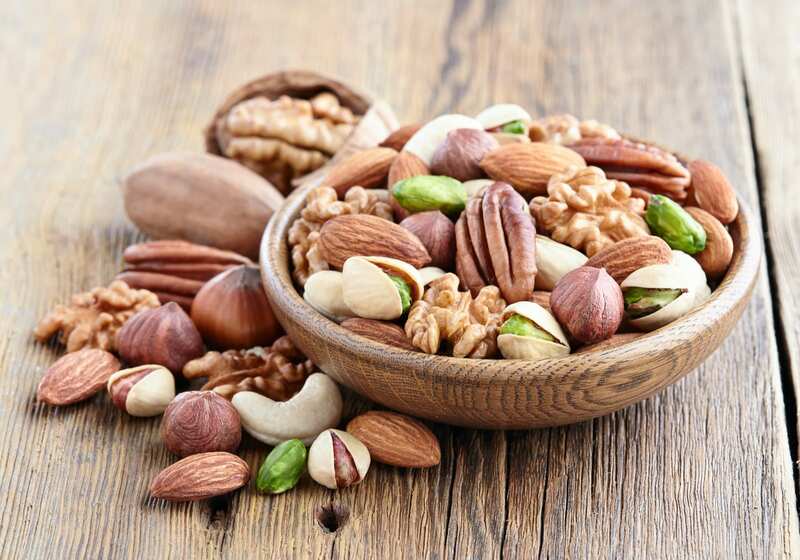 Healthy Nut Mix – Find or create a mixture of nuts like walnuts, hazelnuts, almonds, pecans, and pistachios. These will provide you with a protein-rich healthy snack option. Careful not to go completely overboard with consumption. A good nut mixture is a much smart option compared to most football party foods.